PDF only. End user email required. Email/Call for quote on printed edition. This is the sixth edition of CSA A23.3, Design of concrete structures. It supersedes the previous editions published in 2004, 1994, 1984, 1977 (metric), and 1973 (imperial), and 1959. 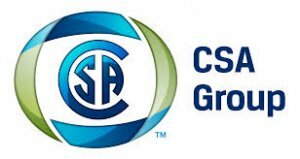 This Standard is intended for use in the design of concrete structures for buildings in conjunction with CSA A23.1/A23.2, Concrete materials and methods of concrete construction/Methods of test and standard practices for concrete, and CSA A23.4, Precast concrete - Materials and construction. a) Clause 3.1 contains new definitions for conventional construction, moderately ductile wall systems, different types of tilt-up construction, and gravity-load resisting frames. b) Clause 7.4.3.1 contains new requirements for the clear distance between pretensioning wires or strands at the ends of members. Clause 7.6.5 contains new requirements for additional column ties in column-slab connections over the slab depth where the slab is discontinuous. In Clause 7.6.4, the minimum diameter of spiral reinforced has been changed to 10 mm and the limit of one-sixth of the core diameter for the clear spacing between successive turns in a spiral has been removed. Clause 7.7.3 has new requirements for column ties in beam-column joints. c) Clause 9.2.1.2 gives guidance on stiffnesses to be used in members of lateral load resisting systems for wind loading. Clause 9.8 provides cautionary notes on member minimum thickness requirements and accounting for construction stages and early loading in computing deflections. d) Clause 10.9.4 contains a new requirement for the required ratio of spiral reinforcement. Clause 10.10.4 has increased the maximum factored axial load resistance of spirally reinforced columns and contains new provisions for the resistance of compression members as a function of wall thickness. Clause 10.16.3 provides a new factor for determining the amplitude of sway moments. e) Changes to the shear design provisions in Clause 11 include the following: the need to account for cover spalling for members subjected to high shear stress; new requirement for sections near supports; definition of special member types; accounting for effect of bars terminated in the flexural tension zone; and increased spacing limit for transverse reinforcement for special cases. Changes to the strut-and-tie design provisions of Clause 11.4 include the following: introduction of refined strut-and-tie models; modelling of members subjected to uniform loads; revised strut dimensions for struts anchored by reinforcement and for struts in narrow part of fanning compression regions; simplified expression for limiting compressive stress in struts; new detailing requirements for anchorage of ties; and provisions accounting for confinement of bearing in nodal regions. f) Clause 13 on two-way slab systems has been revised to include the following: the use of dv in determining the one-way shear resistance; new details for bottom bars in column strips of slabs with drop panels (see Figure 13.1); and a change in the definition of Vse for the design of structural integrity reinforcement (see Clauses 13.10.6.1 and 3.2). g) Clause 14 contains a new requirement to account for strong axis bending in bearing walls and new wall thickness requirements and slenderness requirements for flexural shear walls. h) Clause 18.3.1 permits a higher compressive stress limit in the concrete at transfer at the ends of simply supported members. i) Clause 21 on special provisions for seismic design has a number of significant changes. This Clause has been reorganized so that all the requirements for ductile frames are in Clause 21.3, while all the requirements for moderately ductile frames are in Clause 21.4. New dimensional limitations for moderately ductile moment-resisting frames have been added in Clause 21.4.2. The requirements 17 for moderately ductile shear walls have been spelled out in greater detail, and because of the significant overlap with the requirements for ductile shear walls, the requirements for moderately ductile and ductile shear walls are presented together in Clause 21.5. All shear wall design requirements that were redundant with Clause 14 have been removed from Clause 21. Thus, the designer of seismic shear walls must look to Clause 14 for important requirements such as dimensional limitations, transfer of forces across construction joints, and many other requirements. The requirements for strength and ductility over the height of shear walls in Clause 21.5.2 have been expanded. New requirements have been added for the design for bending moment and shear force below the plastic hinge at the base, and for the increased shear force in walls due to the inelastic effects of higher modes. New requirements have been added in Clause 21.5.5 for the anchorage of horizontal reinforcement at the ends of walls depending on the level of ductility. New requirements have been added in Clause 21.5.7 to ensure that walls have adequate ductility to tolerate some yielding near mid-height due to higher mode bending moments. The design requirements for two new types of reinforced concrete SFRS - moderately ductile coupled walls and moderately ductile partially coupled walls - have been added in Clause 21.5.8. The requirements for squat shear walls in Clause 21.5.10 have been relaxed where the walls are longer than needed. The requirements for conventional construction shear walls in Clause 21.6.3 have been expanded. New requirements for the design and detailing of tilt-up construction, including moderately ductile and limited ductility tilt-up walls and frames, are presented in Clause 21.7. New requirements for the design of foundations are presented in Clause 21.10, including the requirement to consider foundation movements. New requirements are presented in Clause 21.11 to ensure that all members not considered part of the seismic-force-resisting system have adequate displacement capacity. j) Clause 23.2.9 provides revised design provisions for structural integrity of tilt-up construction. The effective area of reinforcement used to calculate the factored resisting moment has been modified. k) Annex D on anchorage has been modified to include changes to the requirements specified in Appendix D of ACI 318M-11/318RM-11, Building Code Requirements for Structural Concrete and Commentary. Annex D provides new provisions for the bond strength of adhesive anchors in tension; installation of horizontal and upwardly inclined adhesive anchors; the bond strength of adhesive anchors in tension; the resistance of anchors for load cases involving earthquake effects; revised breakout resistance in shear for an anchor in cracked concrete; and new requirements for the installation of anchors. c) special structures such as parking structures, arches, tanks, reservoirs, bins and silos, towers, water towers, blast-resistant structures, and chimneys. Note: Special requirements for parking structures are specified in CSA S413. This Standard requires designs to be carried out in accordance with the fire resistance requirements of the applicable building code (see Clause 8.1.2). c) studies of model analogues. Whenever the square root of the concrete strength is determined, the concrete strength and the square root of the concrete strength are both expressed in megapascals. Other dimensionally consistent combinations of units may be used, provided that appropriate adjustments are made to constants in non-homogeneous equations.